When its that time of year again, to pull the snowmobiles out of storage and head for the trails. There are a few things that you should consider before doing so however; Does your snowmobile have physical damage coverage? If you leave your property, are you covered for personal liability? What if I get hurt, who will pay the medical bills? Snowmobile insurance protects you against financial loss if you have an accident. It is a contract between you and the insurance company. You agree to pay the premium and the insurance company agrees to pay your losses as defined in your policy. Property coverage pays for damage to your snowmobile, such as, Comprehensive & Collision coverages. Liability coverage pays for your legal responsibility to others for bodily injury or property damages. Most snowmobile policies are for 12 months, and in alot of cases, the snowmobile coverage is endorsed on your home insurance policy. 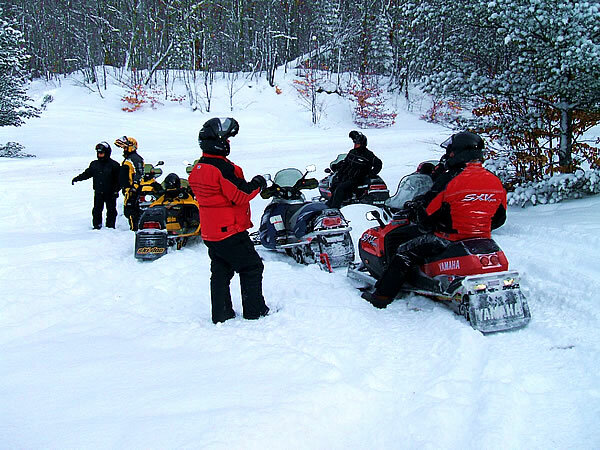 Why do you need snowmobile insurance? If you're in an accident or your snowmobile is stolen, it costs money, often a lot of money, to fix or replace it. If you or your snowmobile is responsible for damage or injury to others, you may be sued for much more than you're worth. If you do not have medical insurance, then it is very important to purchase some form of optional medical coverage. Click here to get a Snowmobile Insurance Quote.